Millions of consumers carry a Sharpie every day. For an autograph request at the PGA or Indy 500, as well as just for the simple pleasure of drawing. There are an endless amount of fun Sharpie uses. Upgrade your favorite Sharpie with these amazing ‘covers’. Without a doubt, they project a fun attitude. Choose from Golf, Candy Stripes, Camo, Flames, Mr Pinstripe and even a Skull! All come loaded with a black Sharpie. Sharpie, rollerball and fountain pen all in one Set! The Special Edition Cigar Set covers all the writing modes you could need. A Sharpie is included as usual. Also included are a Sherpa rollerball and fountain pen. That’s correct, all three writing modes fit into this amazingly realistic ‘cigar wrapper cover’. The set arrives in what looks like a classic cigar box. Colorado First in a Collectable Sherpa States’ Special Edition Series! Don’t miss the newest Special Edition; Colorado. 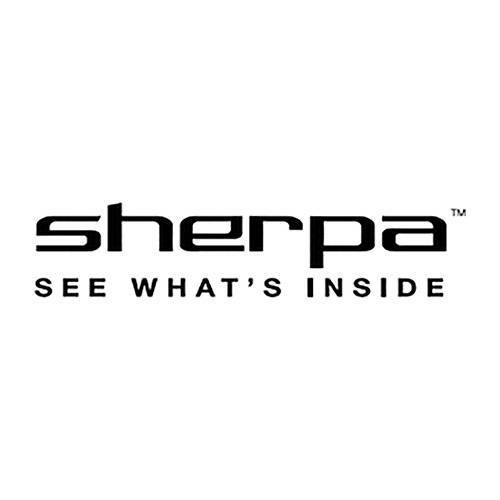 Celebrate the state where Sherpa is designed and assembled. Your daily workhorse, your Sharpie®, deserves the personalized protection of a Sherpa™. While this Sherpa may seem more urbane than its Himalayan origins, it provides the same security as your summit guide. Your Sherpa cover arrives with a black Sharpie. After that, resupplying is up to you. If you prefer using a uni-ball®, that will fit too! Does your workplace only spring for generic ballpoint pens, available in bulk? You are okay with the way they write, but would like to step-up appearances. These new Sherpa™ ballpoint pen 'covers' will do the trick. Black and chrome models even feature a stylus on top. Or you can opt for black, chrome, red or blue without the stylus. You know how often your pen is "coveted", so add an engraving be sure this beautiful Sherpa ballpoint is returned to you.